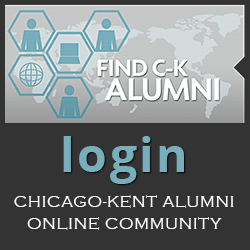 A unique aspect of the Chicago-Kent clinical education program is its fee-generating model, which has important financial and educational benefits for our students. Too often, law school legal clinics are staffed by young clinical educators who are intelligent, highly-motivated and competent but who have simply not been practicing or teaching long enough to be either senior practitioners or outstanding coaches. In many cases, these talented individuals do not remain long enough in their positions to attain either status. In large part, the lack of outstanding and experienced clinicians is due to economics. In general, the salary scale for clinical educators is less than that for traditional faculty. Moreover, many young clinicians are funded by short-term grants and thus live an uncertain academic existence. At Chicago-Kent, we have achieved both experienced hires and longevity through our fee-generating model, under which the salaries of the in-house clinical professors are linked to the fees they generate. While the upper limit of salary can be no higher than that earned by highly-paid traditional faculty of equivalent experience, a clinical faculty member who generates fees in excess of that salary will receive a bonus. Linking the clinical professor's salary to his fees and permitting a bonus is important to the success of our model as it enables successful clinical professors to receive much higher salaries than are usually earned by clinical professors. Because of this fee-generating model, our experienced practitioners become experienced teachers as well. Also, the cost to the law school is far less than if the salary of the clinical professor were paid for with law school funds. 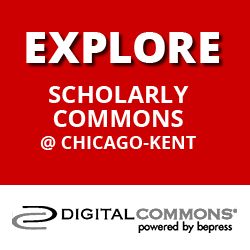 Clinical professors at Chicago-Kent are hired on a long-term contract basis. Their employment contract requires them to supervise students, teach in the clinic classroom components, and participate in the life of the law school. Unlike traditional tenure track appointees, they are not expected to engage in traditional scholarship. Therefore, they are freer to develop their artistry as lawyers and teachers and offer students more of their time. The fee-generating model offers other educational benefits as well. Students receive practice experience in fields other than poverty law. Our fee-generating clinical teachers practice in the areas of employment discrimination, civil rights litigation, general civil litigation, Social Security disability, Medicare eligibility, tax law, family law, criminal defense litigation in both the state and federal courts, open government/watchdog law and representing start-up companies. In most areas of practice, fees themselves are an important aspect of the experience. Thus, our fee-generating model confers an additional educational benefit. Our clinical faculty have the same fee concerns as do lawyers in private practice. They must make economically sound case selection decisions, they must consider economic factors in evaluating their cases for disposition, and they must manage their cases efficiently. These skills are lacking in many practitioners. The American Bar Association Section Of Legal Education and Admissions To The Bar, Legal Education and Professional Development - An Educational Continuum, Report Of The Task Force On Law Schools And The Profession: Narrowing The Gap (1992) (MacCrate Report) was issued in 1992 by a Task Force created by the American Bar Association Section of Legal Education and Admissions to the Bar "to look at public and professional expectations of what lawyers are and ought to be and what skills and values they need to fulfill those expectations, and how they go about acquiring those skills and values during and after law school. " American Bar Association Task Force on Law Schools and the Profession Press Release August 9, 1992. The MacCrate Report identifies a weakness in traditional in-house clinical education programs when it notes that they do not "duplicate the pressures and intensity of a practice setting." MacCrate Report 234. According to the MacCrate Report, even when students participate in in-house live-client clinics while in law school, it remains for the first employer to translate the importance of the skills learned into a "functioning reality." Id. at 235. 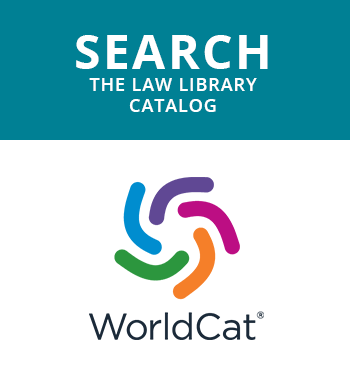 Although the MacCrate Report refers explicitly to the skill of organizing and managing legal work, its view would apply to other complicated skills as well. The Chicago-Kent in-house clinical program far more closely approximates a real practice setting, because it is the concern with fees that creates much of the pressure and intensity that the MacCrate Report finds lacking. Obviously, in our setting, which has as its objective the teaching of reflective learning, our clinical students cannot - and should not - experience all the pressure and intensity of private practice. Although benefitting from an in-house experience with lawyers whose practice is more realistic because of fees, students must be protected from that pressure sufficiently to have the space and time for reflective learning. But because the pressures and intensity are issues which exist at least to some extent at the Chicago-Kent Law Offices, the students experience a model of lawyering they can adapt to their own practice settings. In no area is this more true than where issues of professional responsibility and ethics are concerned. Lawyers are constantly faced with the temptation to earn their fees at the expense of their clients' interest. For example, lawyers may do more work than is absolutely required if a client has sufficient funds and is paying on an hourly basis; they may settle and thereby assure themselves some fees and a speedier fee in a contingent case; they may cut corners when the fee has been fixed in advance. In their grossest form, these solutions are quite avoidable for the ethical practitioner. But in every practice these issues arise in subtle forms. In addition, cases often take more time than anticipated and a client's funds may be limited. No one may be at fault, but the lawyer is faced with deciding how much uncompensated time he should spend to better prepare the case for trial. He may conclude that not spending the time will probably not have a negative impact on the client's case, but then again it might, and if a fee were available he would recommend spending the time. The professionally responsible resolution of that frequent and important dilemma can only be experienced in the fee context. Thus, a fee-generating in-house clinical program can enhance a student's education in professional responsibility and ethics. Because law students do not habitually conceptualize their future roles as lawyer-professionals, those who teach them how to behave as lawyers become extremely important in the ultimate shaping process. It thus borders on irresponsibility to leave the professionalizing process to the random adventitious experiences of post-law school encounters. Andrew S. Watson, Lawyers and Professionalism: A Further Psychiatric Perspective On Legal Education, 8 J. LEGAL REF. 248, 250 (1975). In sum, students who have received their in-house clinical education in a fee-generating office will not abandon the model of lawyering they have learned on the grounds that it is unrealistic in the world of fee practice. The goal of all clinical legal education, which is to improve the quality of practice because of the formative clinical lawyering experience, is better served by the fee-generating model. There is also an obvious economic advantage to fee-generating clinical education. Despite substantial funding from the law school and some funding from government grants, the presence of twelve full-time and one-part time clinical educators would not be possible if fees were not used to fund salaries. An increased number of clinical educators equals an increased number of students receiving in-house clinical education. Moreover, further increasing the size of the clinical faculty becomes a more realistic prospect because the law school's contribution is so limited. Historically, in-house clinical education has suffered from being evaluated not merely on its educational benefit but on its high cost. The fee-generating model dramatically reduces the cost per credit hour to the law school of providing in-house clinical education. The fee-generating model has been criticized for being inconsistent with two traditional rationales for in-house clinics: that they serve the poor and thus help fulfill the law school's social obligation to the profession and the community; and that, through serving the poor, students are sensitized to the problems of poverty and the obligations of lawyers to provide pro bono legal services. Memorandum from Randy Hertz, Professor New York University School of Law to all participants in a Legal Theory Workshop (March 27, 1994) at 11. Notwithstanding any obligation of a law school to help the community and to sensitize students to problems of the poor, both of which are obligations I would in no way dispute, the obligation on which I am focusing here is to provide the best possible legal education so as to produce competent, ethical, and reflective practitioners. If fee-generating in-house clinical education is the way to teach the art of lawyering and offer clinical education to many more students, then fee-generating in-house clinical education is good. As model practitioners, the clinical educators with a fee practice must fulfill their own pro bono obligations. Students are sensitized to the pro bono obligation through role models who, like most of them, will have to sacrifice fees to serve. Further, the existence of a fee-generating clinic does not prevent law schools from also offering poverty law clinics; the presence of some fee generators does not preclude the presence of other lawyers practicing in the areas of poverty law. Alongside our clinical educators who have fee practices are clinical professors who serve mainly indigent clients. Indeed a law school which adopts a fee-generating model, may be able to build in a pro bono component as large, if not larger, than it would have if the entire clinical program was devoted to serving the poor. Surely the pro bono obligation should not be used as an impediment to law schools' expansion of their clinical opportunities through fee practice.